This document is prepared by DOD IT Solutions, to give you an idea of how our BIG BASKET SCRIPT features would be. Every business wish to be one or other way the same and if you want to start a site to create business leader who can proficiently lead team to create value in current business environment.To prepare professional for leading and manage business operations successfully both domestic as well as global Market Designed with a mix of experience sharing. then you have reached the right place. Our Big Basket Script has all the relevant features and benefits that could result in bringing a hike to your business career. Big Basket Clone Script is the easiest, Fastest and secure Php Based script for Online supermarket Websites. 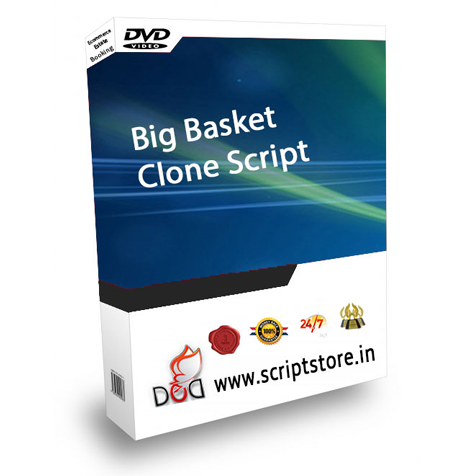 Download this Clone Php Script and start your own Online superstore website.